Blepharoplasty may enhance appearance, widen the field of vision, and in some cases even resolve ‘eye strain’ in those individuals using forehead muscles to help elevate their upper eyelids. Patients of Asian ancestry may choose to have an upper eyelid crease similar to Occidentals. The best candidates for blepharoplasty are patients who are realistic in their expectations. Individuals with certain medical conditions may have increased risk with blepharoplasty. 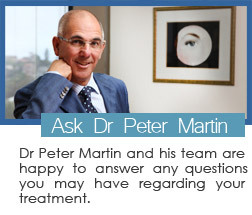 Be sure to discuss any medical or ocular conditions with Dr Martin during your pre-operative consultation. Dr Martin will examine your eyes and eyelids to exclude any problems that could affect a good functional result. He will also demonstrate what to expect from eyelid surgery. Factors to be considered include age, skin type, ethnic background and degree of vision obstruction. The function of the upper eyelid muscle will be assessed and if the upper lid margin is lower than normal, surgery to tighten that muscle may also be necessary. This would be repaired at the time of the blepharoplasty surgery. Dr Martin will perform the blepharoplasty procedure in his day surgery (Harley Place Day Surgery). It is usually performed under local anaesthesia with a mild sedation administered by the anaesthetist. All four eyelids may be operated on or just the upper or lower ones. Dr Martin will advise you of this at your pre-operative consultation, in order to determine your optimum cosmetic result. In upper eyelid surgery, Dr Martin makes an incision in the natural skin folds of the eyelids making the incision virtually unnoticeable when healed. Excess fat, muscle and loose skin are removed using CO2 Laser. The incisions are then closed with fine sutures, which are often removed in about a week. 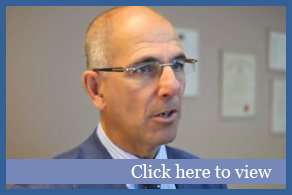 There are several advantages of using CO2 Laser compared to traditional scalpel surgery. With CO2 Laser there is minimal swelling and bruising with a quicker recovery period, less post-operative pain and safer and more precise results are achieved. In lower eyelid surgery, Dr Martin makes an incision inside the lower eyelid. Excess fat is removed using CO2 Laser and this prevents any visible scar. The lower eyelid skin usually requires to be tightened using the CO2 Laser. The procedure can take up to 1-2 hours and you are able to go home shortly afterwards. Some swelling and bruising can be expected. You should plan to apply cold packs to your operated eyelids for the first 48 hours after surgery to help control swelling. The swelling usually subsides within the first few days. The bruising sometimes takes 2-3 weeks to subside. Your eyes may feel tight and sore, especially the first week after surgery and oral pain medications may be required for the first few days. You may have some watering of the eyes and occasionally blurry vision may be experienced, but this resolves once the swelling subsides. You should also avoid bending over for the first few days following surgery. In most cases, you may begin to wear makeup again (on the eyelids) about 10 days after the surgery. You are usually able to take up social activities within 7-10 days and return to work after 2 weeks. After the first couple of weeks, you will begin to see the aesthetic results of your surgery. However, you won’t have your best results for up to 6 months following surgery. During this period, the incision lines will fade.